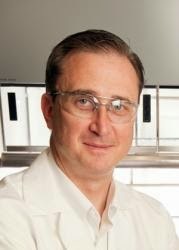 University of Arizona Cancer Center member Dr. Mark Pagel will receive a $2 million grant from the National Institutes of Health to study the effectiveness of personalized baking soda cancer treatment for breast cancer. In other words, clinical trials on the use of oral baking soda (sodium bicarbonate) for breast cancer treatments are about to start! Actually it is no surprise that a University of Arizona researcher received this grant because there has been cancer research going on for years there. Dr. Robert J. Gillies and his colleagues have already demonstrated that pre-treatment of mice with baking soda results in the alkalinization of the area around tumors. The same researchers reported that bicarbonate increases tumor pH and also inhibits spontaneous metastases in mice with breast cancer. It also reduces the rate of lymph node involvement. I recently published about fungal infections, and breast cancer has been found to be associated with increased frequency of mold-fermented cheese consumption. Fungi produce toxic metabolites called mycotoxins that can cause cancer. Aflatoxin is a mycotoxin with carcinogenic potency that is found in inferior peanut butter and other nut and dairy products. Researchers in 1993 examined human breast cancer tissue and found significant carcinogenic aflatoxin within the cancer tissue implicating aflatoxin and thus fungus as a cause of breast cancer. Combine that with what we know about hydrogen ions and we see that the more acid the blood (the lower its pH), the less oxygen is available for use by the cells. Without going into a discussion of the chemistry involved, just understand that it’s the same mechanism involved when acid rain “kills” a lake. The fish literally suffocate to death because the acid in the lake “binds up” all of the available oxygen. It’s not that the oxygen has gone anywhere; it’s just no longer available. Conversely, if you raise the pH of the lake (make it more alkaline), oxygen is now available and the lake comes back to life. Incidentally, it’s worth noting that cancer is related to an acid environment (lack of oxygen)—the higher the pH (the more oxygen present in the cells of the body), the harder it is for cancer to thrive. The ocean, the mother of all life, has an average pH of about 8.1. The ideal pH for blood sits at about 7.4, slightly alkaline—not acidic.